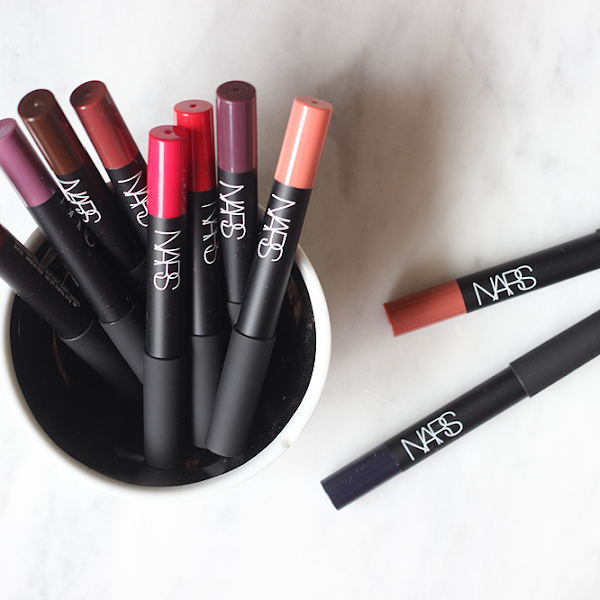 Above The Curve: The Holiday Collection! Hi angelfaces! Okay. 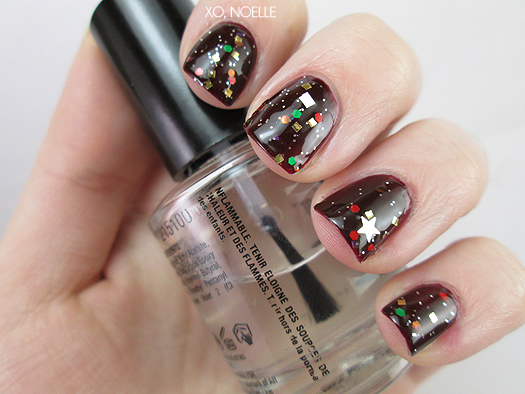 I'm definitely one of those people who like to start putting up Christmas decorations before Thanksgiving even comes around so I'm keeping that spirit going tonight with some lovely holiday polishes from Above The Curve's Holiday collection! Speaking of spirit, did you know Shawn and Angel (owners of Above The Curve) are trying to raise awareness for Scoliosis and give $1 of every polish sale to Shriners Hospitals for Children. It's Because I'm Green Isn't It? 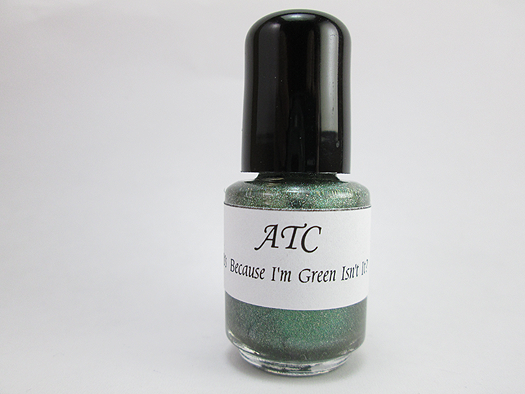 is a frosty holographic green. This is two super smooth coats over a clear basecoat. A Munkle For Your Uncle is a clear base with red, green, blue and gold hexes and squares in various sizes. This is one smooth coat over Zoya Megan. I LOVED this polish! 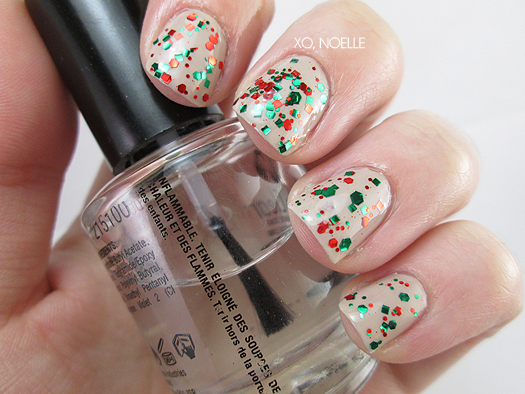 It's like a confetti party on my nails. The only issue I had was that it looked like some of the red glitter might've bled into the clear base making it a light red tinted base instead of clear. 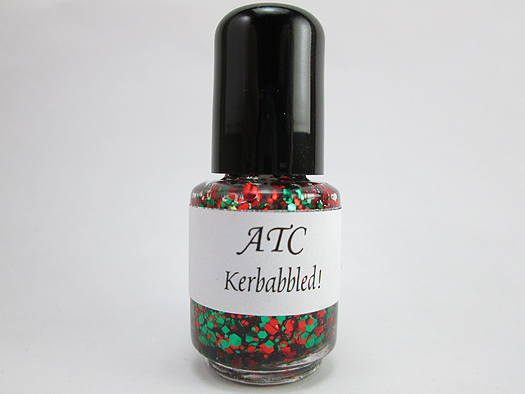 Kerbabbled! is a clear base with red and green hexes and squares. Two coats over Essie Sand Tropez. L-O-V-E LOVE! Another awesome glitter topper. 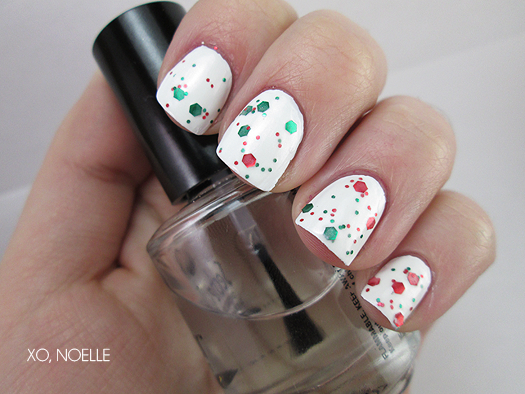 This one looks like a Christmas party on my nails. Absolutely no issues with fishing for glitter. 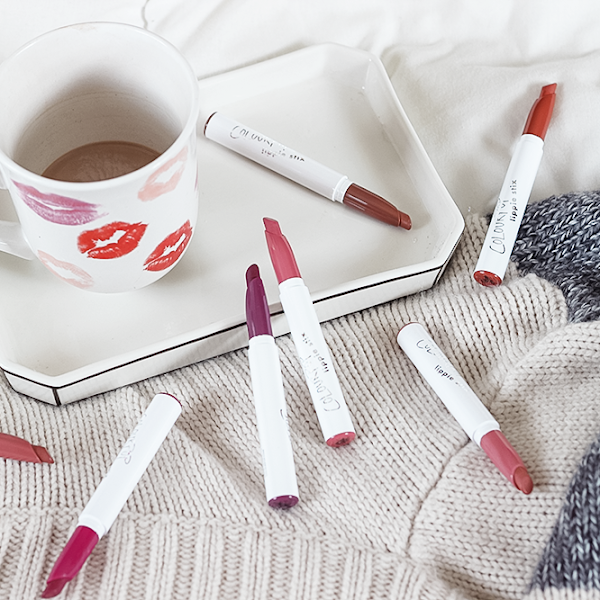 Snow Daze is a clear base with white bars, matte hearts, squares and stars and iridescent blue/purple squares. This is two coats over Barry M. Mint Green. 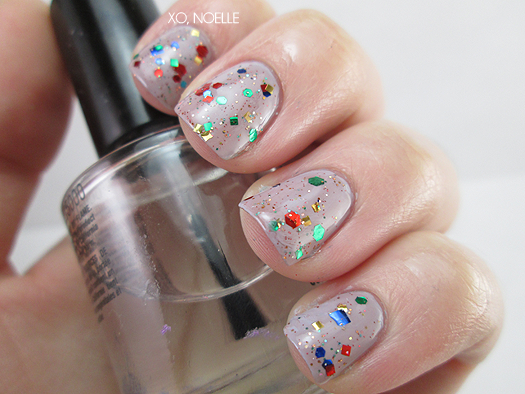 I really liked this glitter top coat but I did have one slight issue: I had to fish around for the stars and when I did finally get them, they seemed to be some-what clear. 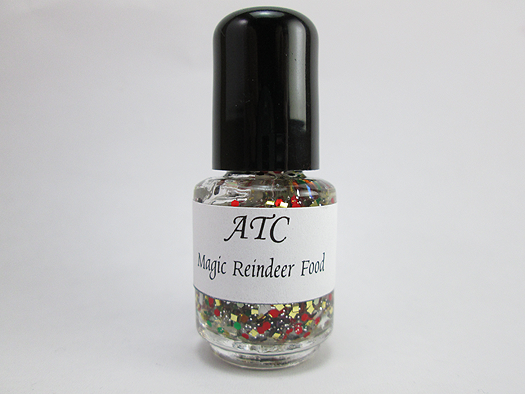 Magic Reindeer Food is a clear base with squares, stars, glitters and hexes in various colors. This is one coat over China Glaze Prey Tell. SQUEE! Another favorite! I had no issues with this polish whatsoever. This one is so whimsical and fun. Gah, just love it! 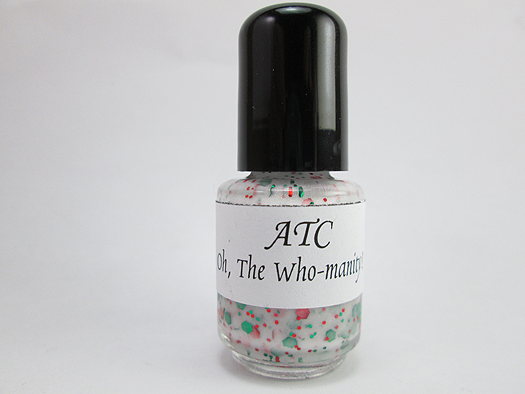 Oh, The Who-manity is a white base with red and green glitters and hexes and a subtle red shimmer tucked inside. This is one coat over a random white polish. I wish I could've caught the red shimmer in this. 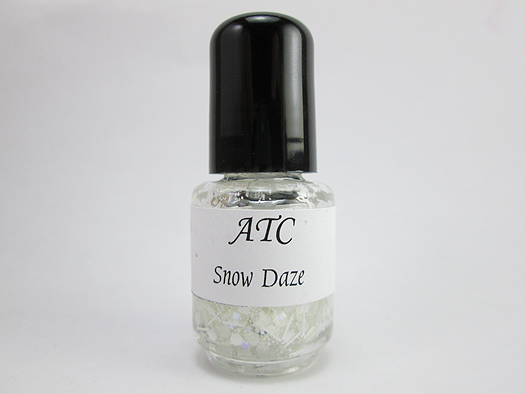 It totally makes this polish from a plain ol' white base/colored hexes into something really special. Overall: These were so fun! I love The Grinch so Kerbabbled!, It's Because I'm Green Isn't It? and A Munkle For Your Uncle made me smile like crazy. My favorites were definitely Magic Reindeer Food and A Munkle For Your Uncle! 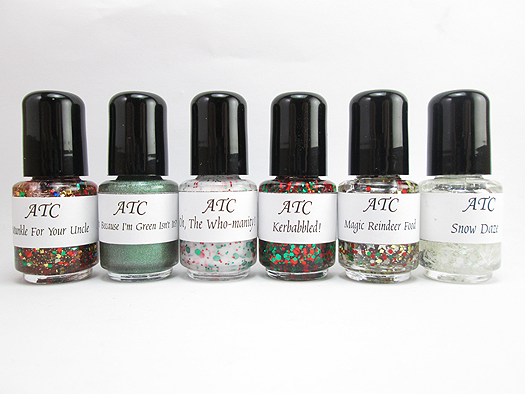 Availability: All polishes are available in minis but only Snow Daze, A Munkle For Your Uncle and Kerbabbled! are available in full size. 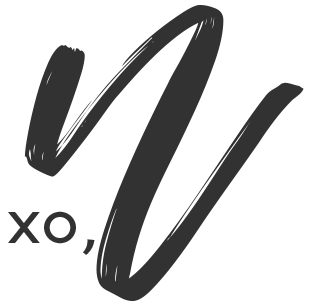 Make sure to "like" them on FaceBook to be kept up-to-date with their openings and new collections! 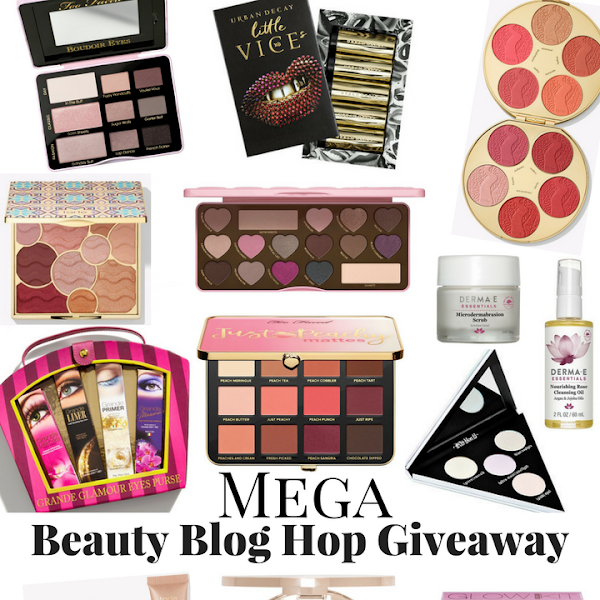 * Products in this post were provided to me by the company or maker for an honest review!